Welcome…to another special blog hop dedicated to Autism Awareness! First…I want to send a HUGE THANK YOU to Maria Willis for inviting me to this hop. I’m honored…truly! And second…a bit about my card. A couple of ideas were clicking around in design mode….like the color blue…which stands out as the color of autism. That’s kind of easy and obvious…but the other thing I wanted to convey was the message that we’re all unique..we’re each a one of a kind. And the things that separate us also bring us together…as unique. Kinda cool…isn’t it? So…I grabbed the soon to be released Tranquil Textures Suite and got to work! I die cut several large and small sand dollars in Crumb Cake cardstock and one in Night of Navy cardstock…and the netting image in a piece of Tranquil Textures using the Under the Sea Framelits. I arranged the pieces and placed them on white cardstock embossed with the Softly Falling folder. 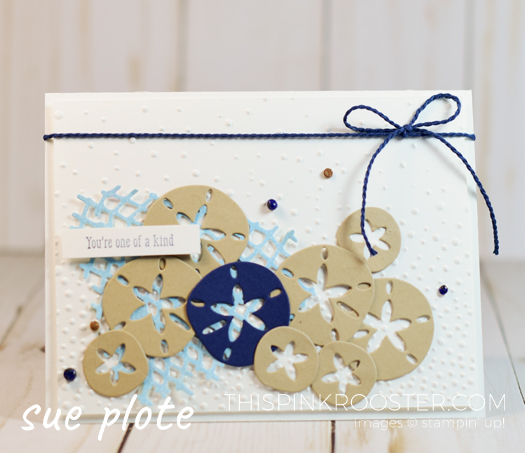 I stamped the you’re one of a kind sentiment with Night of Navy ink on a bit of white carsdtock and added it to the project…and then placed it all on the white card base. Finally…I added several pieces of Tranquil Textures Sprinkles and tied on a length of medium blue twine. And there you have it…in the sea of sameness…it’s the unique that is one of a kind…and beautiful! I believe we’re all connected to autism is some way. We may have friends or family members with autism. We may work or volunteer in a field related to autism. Personally…in addition to have a family member with autism, I’m lucky to be a member of our county’s Community Mental Health Board…which funds several organizations providing services to families and individuals with autism. Because of my work on this board…I’ve been inspired to learn about larger organizations related to autism…and I’ve been particularly impressed with the work done at the Organization for Autism Research (OAR). OAR was started and is guided by parents and grandparents of children with autism…people who are the closest to needs and issues of autism. There’s so much more to know about OAR…and to be impressed by…and you can read all about it at www.researchautism.org. Making a contribution is the most immediate and direct way to help an organizations like OAR…as it relies on donations to fulfill its mission. Contributions fund research and resources, current programs and new programming initiatives. If you’re so inclined (and I hope you are) click below to donate and support OAR. Thank you so much again for joining us as we hop in support of Autism Awareness! 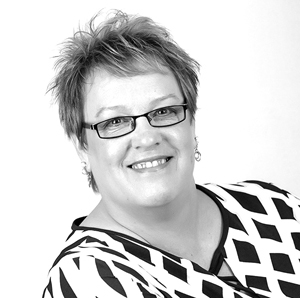 Please click below to head over to see what Jenny Hall has created for you. It’s sure to be fabulous! And in case you need it…here we all are! Amazing card! Love this layout so much and I can’t wait to get my hands on this bundle. You’ve shown it so well here. Gorgeous card, Sue! Can’t wait to get my hands on these products. What a beautiful card this is! So in love with those sand dollars and the one in blue is just perfection for this cause! Totally LOVE your card and the idea behind it. I think it’s important to embrace and admire the unique qualities of people with autism. Your card is gorgeous and you play a very important role in the support of those families who struggle with these types of conditions. You are truly a blessing! What a wonderful card! I love all of those sand dollars and how you put everything together. Sue! What a gorgeous card! I love those sand dollars! Your idea of sharing a card that represents our uniqueness and how that also brings us together is truly a beautiful one. Thank you!